Time Warp Mode Engaged! January 25, 2015 – We were at Fantom Comics in Washington, DC today for a historic event. 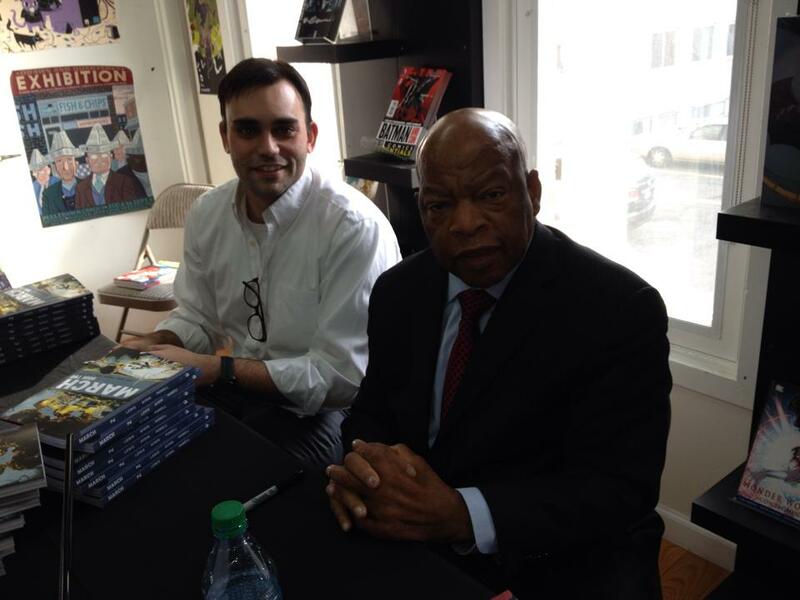 Civil rights icon, Rep. John Lewis, was signing copies of MARCH: BOOK TWO along with co-author, Andrew Aydin. 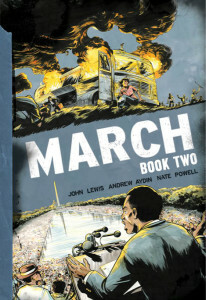 MARCH is the comic book adaptation of the story of Congressman Lewis’ experiences as part of the civil rights movement during the turbulent period of the late 1950’s and 60’s. This second part of the trilogy was recently released to considerable critical acclaim. 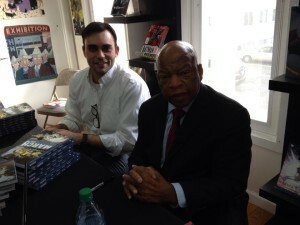 Congressman Lewis, Aydin and artist Nate Powell have garnered many accolades and the work itself has earned award after award. While I’ve met and interviewed the congressman this was an opportunity for my daughter to meet a living legend of American history. And March has presented many Black sons and daughters with the chance to learn about their history and heritage. March: Book Two is published by Top Shelf Productions.